Nine guests come to stay at a health resort, each of them having reached a difficult point in life – recovering from divorce or bereavement or career downturn, and/ or simply dealing with the effects of ageing. The health resort is a blend of draconian strictness and blissfully therapeutic – hidden alcohol is confiscated from the guests’ luggage, but if you’re secretly feeling down about your age, you’ll be magically whisked off for a rejuvenating facial. Yet the resort owner has a sinister secret agenda, and the guests must bond together to extricate themselves from some bizarre challenges. Every one of the guests uses this time at the resort to come to terms with the past, reassess their identity and find the strength to face the future. 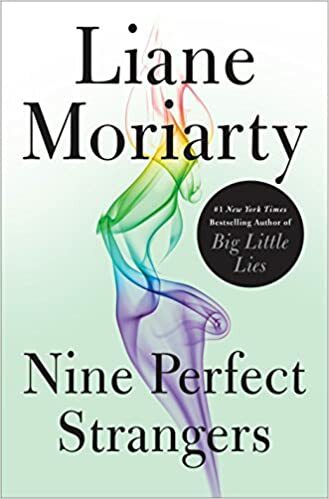 One of the great achievements of this book is the way Moriarty gradually introduces all the characters, so there is no confusion between them. No mean feat when you are dealing with nine guests, and at least 3 members of staff, all flung together. For some reason, this book reminded me of Agatha Christie, with the different characters bonding in an artificial environment. However, there is no real comparison, I’m just curious whether anyone else saw this as well!